hasuk is a homestay university. hasuk is renting a room that is one of several private rooms. it is main rental system in past, university in Korea. hasuk using toilet together with many persons, as privacy is not good, even if the curfew was determined. The age varies up and were students prefer the studio rather than hasuk. In Korea Univ. hasuk is almost disappeared five years ago. However, this hasuk has appeared again in the university area apartments last year. 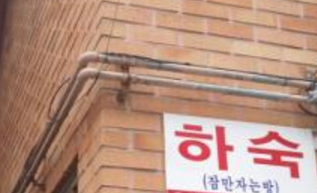 A grandmother of three rooms of Seongbuk-gu, Seoul recently rent a small room for student. If women living alone in big apt. they find female students hasuk renter. The landlord perspective, the studio was oversupply, hasuk, also in terms of rate of return than the studio. One room have private toilet in each room. one floor in building, one room is made only about 5 rooms. If hasuk, 1 floor for 1 or 2 toilets, so, there can be about 8 rooms. some students want stay hasuk because it is lower price then one room. In addition, students want to stay jensei(high deposit and no monthly). However, jensei can not be found near universities. or some students wa to stay no furniture, or partially furniture room, because it is lower price.